Making Weight Watchers green tea is easier than ever with the Instant Pot. 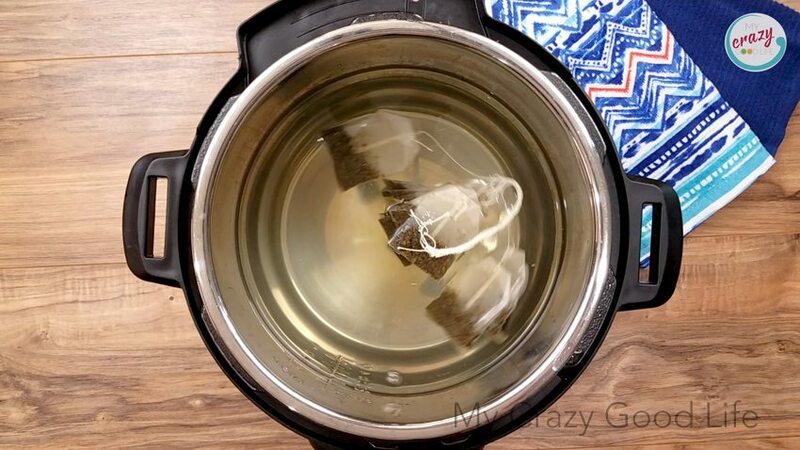 You can make Instant Pot tea in a flash with this quick and easy recipe. Drinks like this Weight Watchers Green Tea are delicious, and they can help with the craving for sweets. In terms of beverages, green tea is a healthier option. Water, of course, is best but it can get boring. 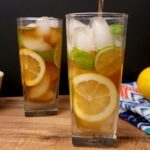 If you are looking for way to make a low points beverage that’s easy to make you can’t go wrong with this Instant Pot Basil Lime Green Tea. If you need some dinner ideas to go along with it, check out these great Weight Watchers recipes! Add the water to the Instant Pot. Mix in the honey and baking soda (optional) until it is dissolved. Remove the tags from the tea bags, tie all the strings together to make it easier to remove the tea bags later. Add the lid and turn the pressure valve to sealing. Cook on high pressure using the manual function for 4 minutes. When done release the pressure using a controlled quick release. 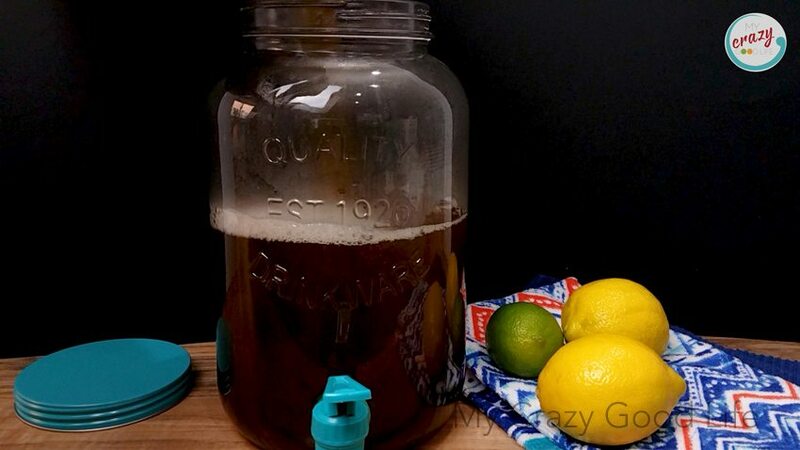 Let tea cool to remove temperature then pour into a pitcher to store in the refrigerator. To serve pour over ice with lemon slices, lime slices, and basil leaves. If you like a sweeter tea, you can add more honey to your glass. 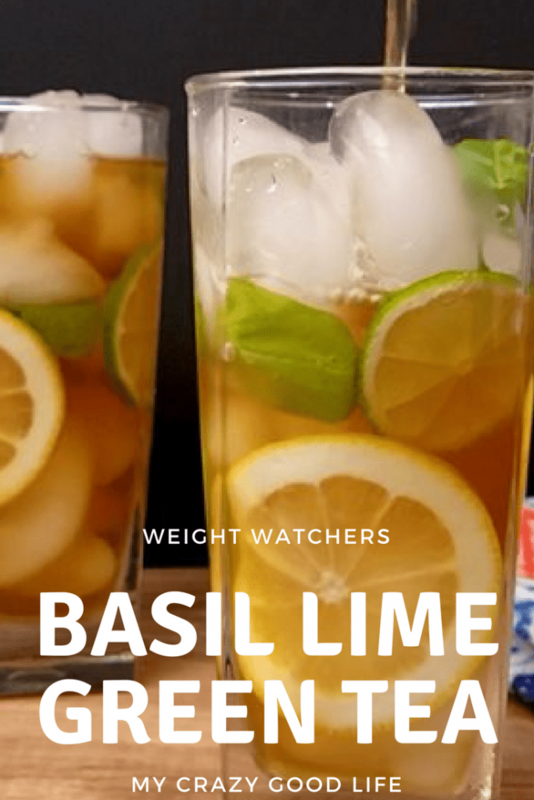 With 8 servings, this Basil Lime Green Tea comes out to 2 Freestyle Smart Points per serving for Weight Watchers. Making Weight Watchers green tea is easier than ever with the Instant Pot. 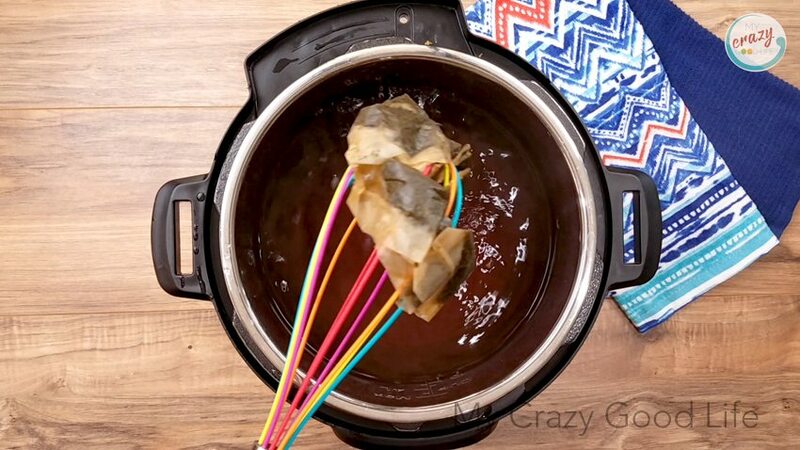 You can make Instant Pot tea in a flash with this quick and easy recipe. Check out my basil and lime green tea recipe for a tasty and low points treat. Add the lid and turn the pressure valve to sealing. Cook on high pressure using the manual function for 4 minutes. When done release the pressure using a controlled quick release. Let tea cool to remove temperature then pour into a pitcher to store in the refrigerator. With 8 servings it comes out to 2 Freestyle Smart Points per serving for Weight Watchers!